Among the totally free new US genealogy records recently put online are collections from 8 states: CA vital records and photos, GA Reconstruction oaths, IL photos, MA naturalizations, NY passenger lists, and digital newspapers from NJ, NC, NY and OH. Also: the Japanese-American experience, African American life on the West Coast and the Cumberland Gap in the Civil War. 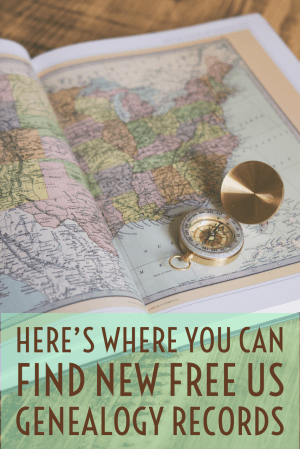 Check out these three important regional digital archives, followed by state-level collections of new US genealogy records from the East Coast to the West—and the South to the North. The Abraham Lincoln Library and Museum in Harrogate, TN houses the valuable Cumberland Gap Byrnes Collection. According to the site, “The Cumberland Gap was a strategic location during the American Civil War and changed hands several times throughout the course of the conflict. The collection includes correspondence, cartes-de-visite, and artifacts from soldiers belonging to the 16th, 42nd, and 185th Ohio Volunteer Infantry, units that were stationed for a time in and around the Cumberland Gap area.” The collection is being digitized and uploaded to a free digital archive on an ongoing basis. The new Sonoma County Fires Community Memory Map is a new crowd-sourced digital archive that has come after a fast-moving wildfire burned over 100,000 acres of land across the county. According to the site, it “serves to provide a central place where people can share photographs and stories of the places that we lost overnight. Through the power of community, we aim to reconstruct a digital collective memory. Residents and visitors of beautiful Sonoma County can share their recollections of the places we no longer have.” Here’s a moving article about the story behind the site’s creation. Georgia. 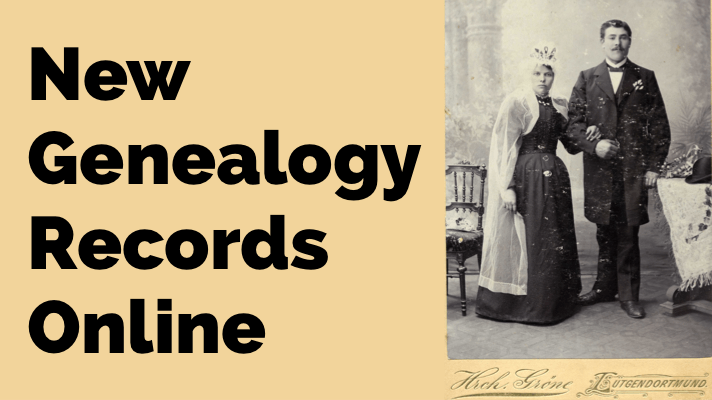 A new post-Civil War record index has been published at FamilySearch.org. So far, Georgia, Reconstruction Registration Oath Books, 1867-1868 includes nearly 175,000 names. “Registration Oath Books [were] created by U.S. military officials stationed in Georgia following the Civil War,” explains the collection description. “Registers typically contain each voter’s name, county of residence, date of registration, race, and an oath of allegiance to the United States. The oath of allegiance was required in order to register. Registered voters would then elect delegates to the state’s constitutional convention.” Don’t forget to use your free guest login at FamilySearch.org for the maximum level of online access to records. Click here to learn more about this. Massachusetts. 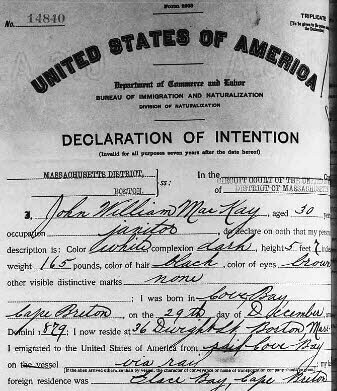 FamilySearch.org has published a new collection of early 20th-century naturalization records. Massachusetts, Naturalization Records, 1906-1917. Over 71,000 digitized record images are browseable on the site. 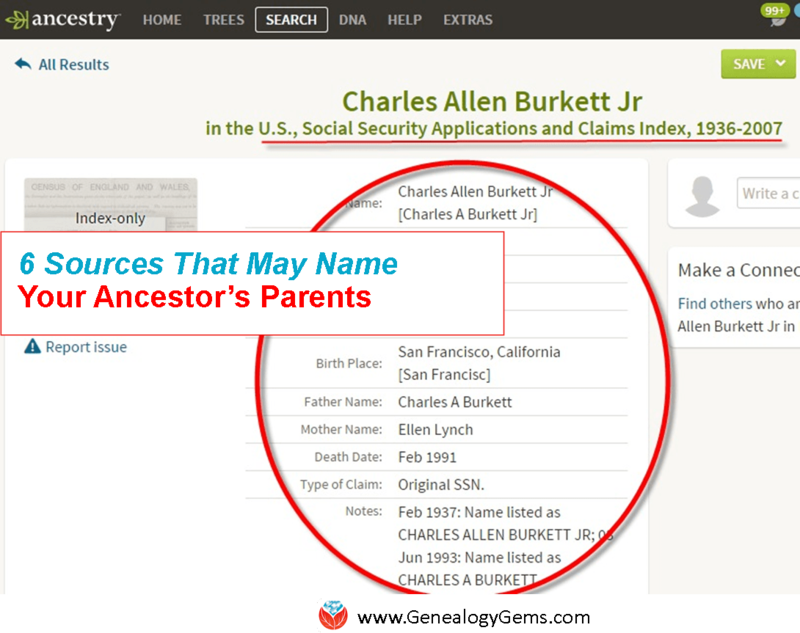 Nearly 100,000 names have been indexed to date (more names will be added as they are indexed). These records are from petitions and records of naturalizations of the U.S. District and Circuit of Massachusetts. New Jersey. Digital historical newspapers from New Jersey are finally being added to Library of Congress website, Chronicling America. Only one paper, the Perth Amboy Evening News, has been published on the site so far, but more are coming. “Upon the project’s completion, 100,000 pages of New Jersey newspapers will be available through the site,” states this news article. New York. Over 1.6 million names have been added to FamilySearch.org’s free collection, New York Book Indexes to Passenger Lists, 1906-1942. This collection will continue to grow as more names from its 748,000 digital page images are indexed. You may browse unindexed pages: the indexes are grouped by shipping line and arranged chronologically by date of arrival. More issues of a Warsaw, NC newspaper, The Duplin Times. The years 1962-1985 have been added to a collection for this title dating back to 1935. The paper covers primarily local politics and community issues and events. Ohio. The public library system in Gallipolis (Gallia County), Ohio has put its entire local historical newspaper collection online. The collection spans 123 years of news (since 1895) and includes Daily Times, Sunday Times-Sentinel, The Gallipolis Daily Tribune and others. The digital publication of issues of some newspapers through 2017 is unusual and required the publisher’s permission. Access these at the Digital Archives of the Bossard Memorial Library. Newspapers.com now claims over 338 million total pages of newspaper content. If it’s been a while since you’ve last looked around the site, it may be time to visit again and explore your ancestors’ lives in print. 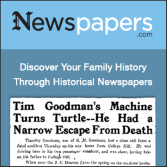 For newspapers from New York, you cannot beat fultonhistory.com. And it is expanding to other US states and Canada. I have found more there than any other place I have looked. It’s free unless you want to make a donation. Oh, this is a great idea Nancy. I’m putting it on my list! I have some excellent strategies for this. Stay tuned to the newsletter, blog and podcast. I’m looking forward to your help with OFP – I too have had some frustrations. Thanks!